The club decided it was time for a new and slightly larger N guage layout which can be driven by visitors to shows. This will be based on a couple of 4ft by 2ft baseboards joined end to end. The station area, as on East Wickham has straight platforms, yet the former’s were bisected due to the two board separation points. 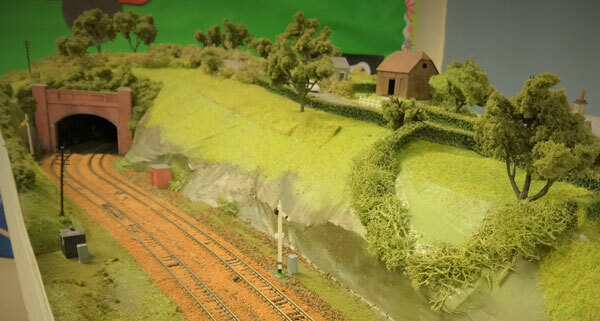 An alternative plan that had been considered long in the planning was to have the station placed on one board, preferably a curve section, instead of straight sections as before. The station and platforms are on one board; the proposed to position the platforms on a curve have been revised. 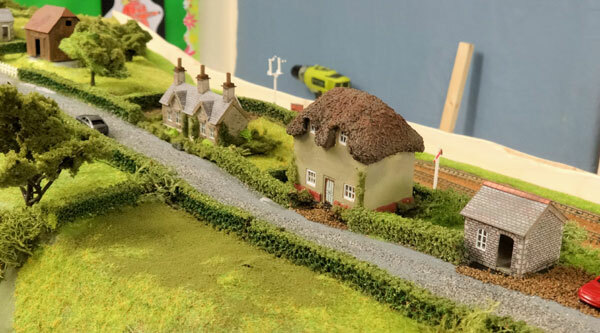 The landscape terrain for this will be a gentle rolling hill within the oval and giving the layout an ideal setting, and the impression of the layout being in the middle of the countryside and the rural location. The size of the whole layout is 8ft x 2ft. Being 2ft longer than East Wickham, this additional space will certainly be a benefit to the upgrade. It can accommodate stock ranging from post-grouping (1940s) to present day. 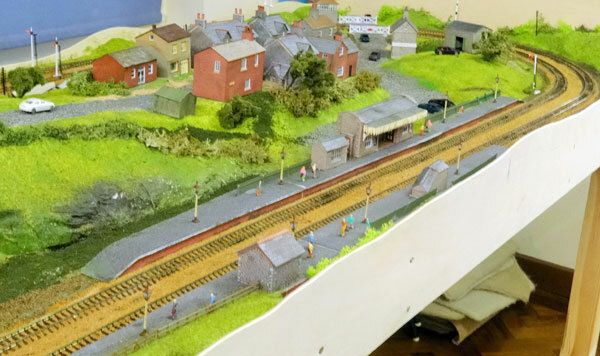 The layout has its own dedicated stock, and additional rolling stock and motive power provided by members. Like its’ predecessor drive-your-own layout (East Wickham) before it, this drive your own will not have a set period or particular region. When appearing at shows, a certificate of good driving can also be issued to those who have had the opportunity to drive their own trains.